A unique programme to prepare to a "Diplôme d’Ingénieur” with a foundation year + 3 years of master. Network "n+i" offers to students to join a foundation year of upgrading courses in language (French and/or English), mathematics, sciences, to prepare them better for their 3-year training of “Diplôme d’ingénieur” (Master's degree) in France (better chances of success). It is a unique program. During one year, courses will be designed in order to upgrade the background in math’s, sciences (physic, chemistry...) and on learning intensively French language. During the first semester student will be in contact with all schools in order to be recruited by one of them for the second semester and the following 3-year master programme. During the pre-DI, schools will also search companies able to offer an apprenticeship programme for the 3-Year “Diplôme d’ingénieur” fully funded by a company. The duration of Pre-Diplôme d’ingénieur (Pre-DI) is 10-12 months (2 semesters from September till August) followed by a 3-year programme of Master. The Pre-DI is a non graduating programme, but gives 60 ECTS credits transferable (under conditions) back home. Students without a Bachelor but, as a minimum, a national diploma after 2 years of higher education. In French: the required level is the level A2 (beginner). If the student does not have the level A2 (i.e full beginner), he can reach it by following, just before the Pre-DI, a regular Package of Linguistic Integration (PIL). In English: if French language is low while the level of English has to be good, either: IELTS> 6, TOEFL (paper)> 600, TOEFL (internet)> 90, TOEIC> 850. 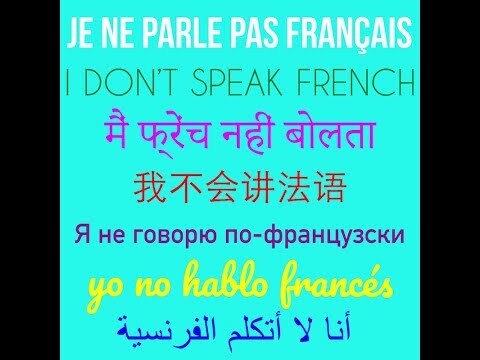 The part of intensive French courses (35% of the time) adapted to the level of the student or even English courses to reach a B2 level in both languages. Second semester (in EI-CESI campus or campus of the school chosen for the 3-Year “Diplôme d’ingénieur”) from January to June : Participation in the activities of students engineers for a better integration and preparation to the master programme (French course FLE, practical work, directed exercises, courses, personal work...). In June, depending on the profile, students can be offered an internship. Option 1: A guaranteed “Diplôme d’Ingénieur” (master “n+”) in initial training. Subject to validation of the Pre-DI and the 60 ECTS credits required for enrolment in a diplôme d’ingénieur (3 years), the student will continue his diplôme d’ingénieur studies in one of the schools of Network "n+i". Option 2: A diplôme d’ingénieur with apprenticeship (Subject to being selected by a company for an apprenticeship contract). No additional time. The "apprentice" status can only be obtained after 12 months of studies in France and on the condition that a company is associated. What is the cost of training for the apprentice-student? € 0. The training is funded by the regional councils and a special tax "apprenticeship tax"; Apprentices receive support for travel, accommodation and catering. They are tax-exempted for most of their income. Do I have the same degree? YES: apprenticeship is a modality, degree is the same whatever the modality is. You get a diplôme d’ingénieur degree (master's degree) and the company participates in the evaluation. Competence certification is done in real situations! Not included: living expenses (accommodation, food etc.) for the duration of the programme, air tickets, visa fees.